Bright electric blue doublet opal cuff links. Measuring 18mm x 15mm from edge to edge of the anti tarnish sterling silver surround. 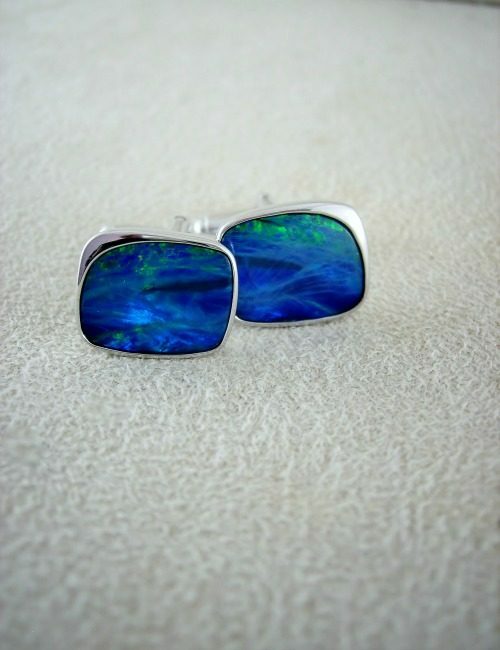 The opals in these cufflinks flash with multiple colours.....blue, green, gold and a touch of red. The doublet opals are set with anti tarnish sterling silver, each opal measures 12mm x 9mm, with each cufflink measuring 14mm x 11mm on the outer edges of the silver setting. 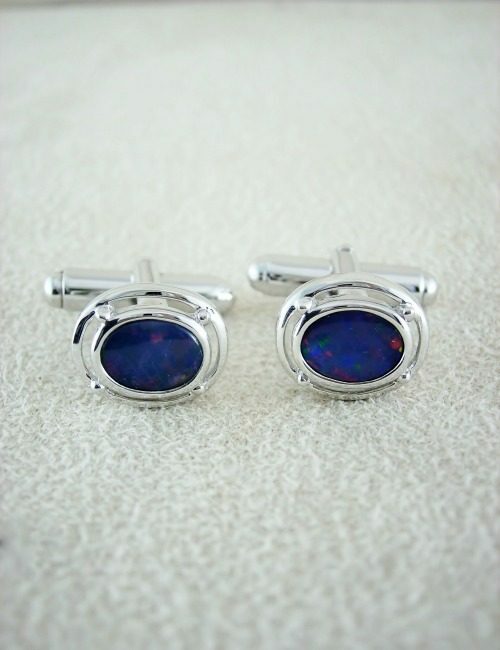 The opals in these cufflinks glimmer with blue, and a touch of red. The doublet opals are set with anti tarnish sterling silver, each opal measures 8mm x 5mm, with each cufflink measuring 13mm x 10mm on the outer edges of the silver setting. These Boulder opal matrix cufflinks have a distinctive organic pattern through the highly polished ironstone. The cuff links are set with stainless steel and measure 16mm x 16mm.